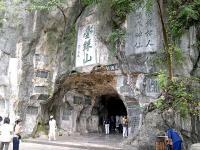 Guilin has long been a travel destination famous for its exceptional natural scenery since Tang Dynasty (618-907AD), which can be evidenced by the rock carvings on the hills and historic records like poems and proses. 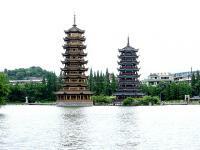 Guilin is also one of the pioneering cities in China opened to the international tourists in early 1970’s, which hosted Richard Nixon, Gorge Bush (Senior), Jimmy Carter, Bill Clinton, Bill Gates, Warren Buffett and many other celebrities from all over the world, etc. 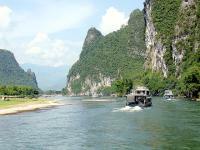 Li River cruise is the No. 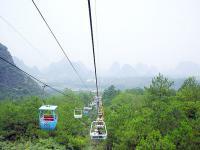 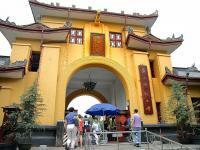 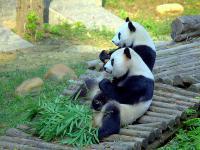 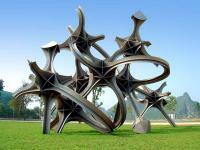 1 travel option while you are in Guilin. 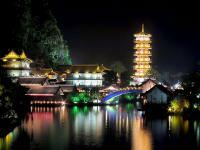 The boat trip starts from Zhujiang Pier to Yangshuo, taking about 4 hours along the river, where you will see the sharply –erected limestone peaks, relaxed water buffaloes, green rice paddies, happy cormorants and duck, Bamboo groves, all of these constitute a beautiful pictures of authentic rural life of South China. 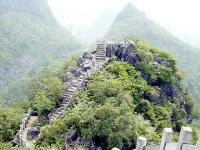 Now there are more ways to see the Li River, if weather permits, you can also choose to take a bamboo raft to go down the river from Yangdi to Xingpimg (1.5 hours), or hike along the river from Yangdi to Xingping (20km, 4-5 hours). 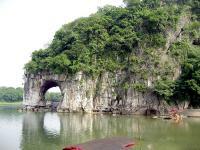 Elephant Trunk Hill is the symbol of Guilin, which is located at the confluence of Li River and Peach Blossom River. 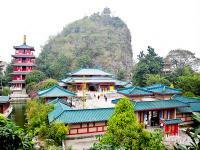 Most of the tourists usually don’t go up the hill, and stand at the other side of river to take photos of it in a distance. 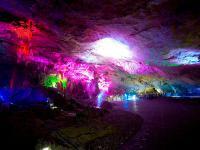 Every evening a hi-tech light show is played in this park, which might be interesting to some travelers. 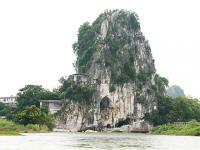 Since 2013, there is a daytime cruise starting from this hill, travelers can take the boat and go upstream to Reed Flute Cave, another premier attraction in Guilin. 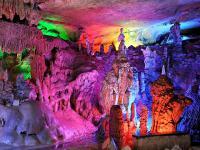 Located in northwest of Guilin city (5 km from downtown), Reed Flute Cave is regarded as a "Natural Art Gallery" known for enchanting stalactites and stalagmites formation in the cave. 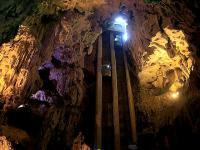 In the furthermost of the cave, there is a big hall, which can accommodate a conference or party of about 150 persons. 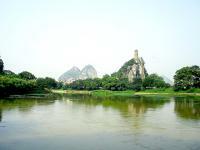 Other well-known scenic spots in Guilin include Guilin Downtown Lakes (2 rivers and 4 lakes waterway system), Fubo Hill, Diecai Hill, Seven Star Park. 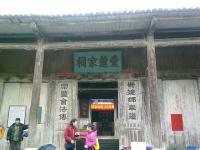 If you are interested in some cultural elements, then we recommend you to visit a tea farm at the foot of Yao Mount, or drive to visit Daxu old town. 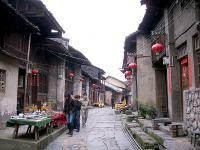 In the neighboring areas / towns, there are more to see, like the country life at Yangshuo, Longji Rice Terraces at Longsheng, Ling Canal in Xing’an, Danxia landform of Bajiao Village at Ziyuan.